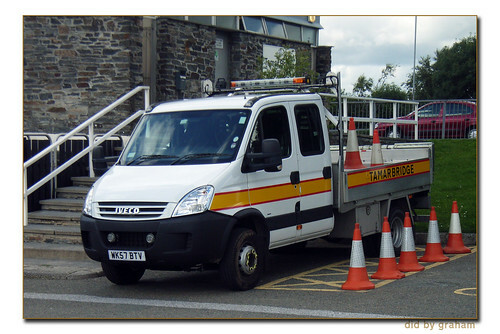 WK57BTV is a new Iveco crew cab which is the stand by emergency truck for the Tamar Bridge. It seems to be for emergency maintenance and probably recover too and I am sure its a very handy truck to have around. Its actually part Cornwall County Council fleet as it carries one of their fleet numbers.